The rate of divorce among people aged 50 and older has increased steadily over the past few decades. Since the 1990s, this type of divorce known as a grey divorce, has nearly doubled. The fact that people are healthier and living longer than previous generations has been a contributing factor to the new tendency. In 2015 alone, for every 1,000 people in the 50 and over age range, 10 got divorced. It is even more interesting to point out that the divorce rate among those aged 65 and older has nearly tripled since 1990. Grey divorces in Arizona come with their specifics and challenges. If you are considering a legal separation from your significant other in your 50s or later on in life, you should keep a couple of essentials in mind. 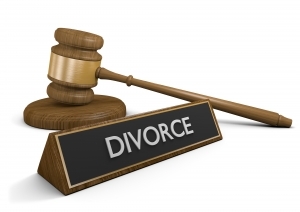 Divorce in Arizona is governed by one and the same legal mechanism that is independent of age. Couples in their 50s and 60s will have to go through the same divorce steps as younger individuals looking to dissolve their marriage. Two of the specific factors that could be heavily influenced by a grey divorce include spousal support and retirement planning. Alimony is calculated in a specific way based on Arizona guidelines. Numerous factors will be taken in consideration, including the income of the two spouses and the lifestyle they’re accustomed to. When younger couples are getting divorced, alimony will be determined for a certain period of time to enable one of the former partners to acclimate to a new life. In grey divorces, spousal support could be set for a longer period of time. An open-ended awarding of spousal maintenance is possible under Arizona law and it can last a lifetime. Alternatively, open-ended alimony will be ended whenever one of the formal spouses remarries. While the open-ended alimony is a long-term legal obligation, it can be modified in the case of significant life changes. Retirement planning can also become more difficult in the case of a grey divorce. More mature spouses tend to have complex financial assets in comparison to younger couples. Retirement plans are categorized in two main ways – defined benefit and defined contribution plans. Defined benefit plans are typically known as pensions. The number of years that a person has worked and their salary, as well as a few other factors are considered to determine the amount of the defined benefit plan. In most cases, defined benefit plans are not considered community property in the case of a divorce. Defined contribution plans involve the creation of a retirement account like the 401(K). Whenever a person starts participation in such a plan during their marriage and the deposits were made from earnings, the entire account balance on the date when the divorce is confirmed will be community property. If a person started contributing before the marriage and continued after, a portion of the plan will be their individual property. 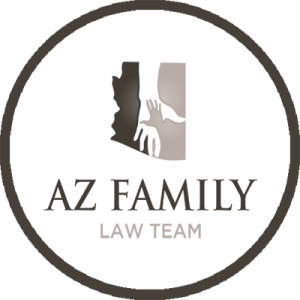 Click here to find out more about step-parent divorce in Arizona. As you can see, a grey divorce can contribute to some serious financial calculation complications. Protecting your assets and making sure you have enough to last your retirement will both be of paramount importance. A grey divorce could be a lot to take in, which is why you should try to end things on amicable terms. If such a separation isn’t possible, make sure that your divorce attorney understands the specifics of the situation and has sufficient experience to handle the process in your best interest.